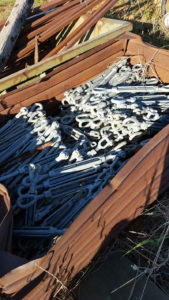 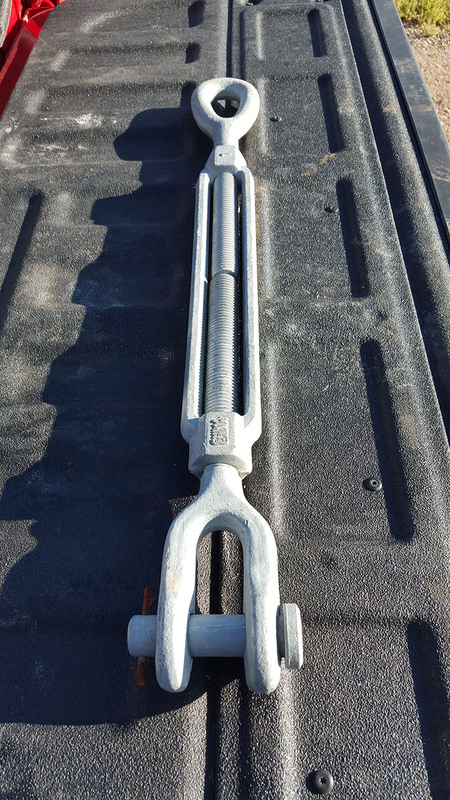 Here is a nice inventory of army surplus turnbuckles. Galvanized. There are about 350 pieces. 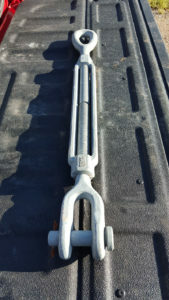 Length is about 27 inches closed. 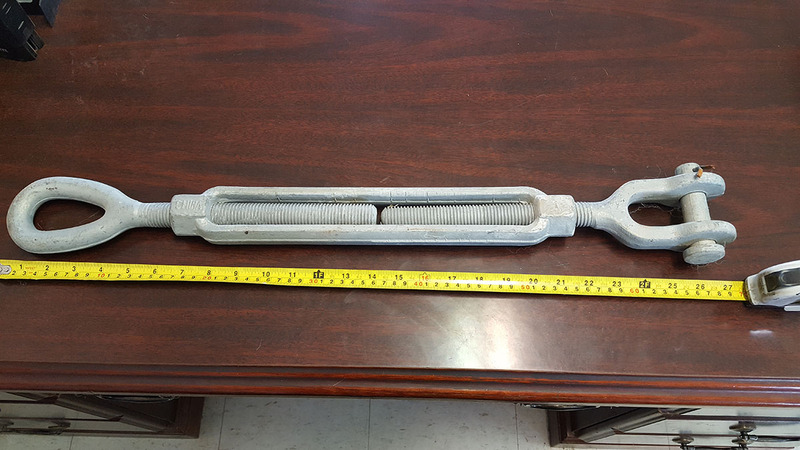 Opens fullest to about 38 inches.